Shu-chin Wu is an associate professor of History at Agnes Scott College. She received her Ph.D. from the University of Wisconsin-Madison in 2005 in Modern Chinese Intellectual History. Since 2006, she has begun to explore the interactions between film, literature, and history, in particular the representation of history in modern Chinese film and fiction. 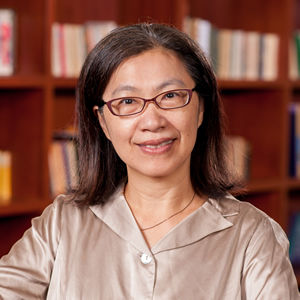 Her research and teaching interests include modern Chinese social and intellectual history, ancient Chinese thought, the representation of history in film and literature, the Vietnam Wars, and the theory and practice of history.